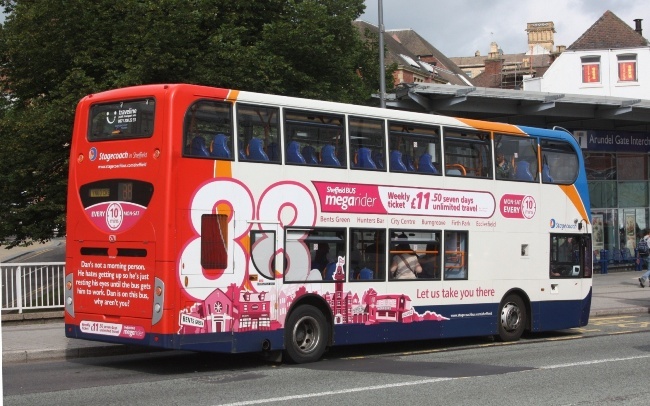 Stagecoach is one of the top 20 most admired businesses in the UK, according to an annual survey of corporate reputation. The transport group, which operates bus and tram services across Yorkshire, was rated 20th out of nearly 240 businesses across 24 sectors in the Britain’s Most Admired Companies (BMAC) 2014 Awards. It was voted the top public transport operator in the survey and was second only to easyjet in the wider transport sector. Stagecoach was ranked above International Airlines Group, parent company of airline BA, and Transport for London. Paul Lynch, managing director, Stagecoach Yorkshire, said: “Our business makes a huge contribution to the economy and local communities. We are a responsible business with a strategy focused on delivering sustainable growth. “We have a strong track-record of low fares, good operational performance, high customer satisfaction and reinvesting our profits in improving our bus services. “That approach has benefitted our customers, taxpayers and our investors.